Our seminary is pleased to announce the publication of the first English translation of a significant 16th-century Lutheran document. The Wittenberg Reformation (1545) was written by Philipp Melanchthon at the behest of Elector John Frederick, in response to a request from Emperor Charles V that each estate should give an account of reformation in their territory. It was signed by Martin Luther and the other major Reformation leaders in Wittenberg, and serves as a commentary on the Augsburg Confession, explaining how it was to be put into practice. It appears here for the first time in English translation, by Dr John R. Stephenson. 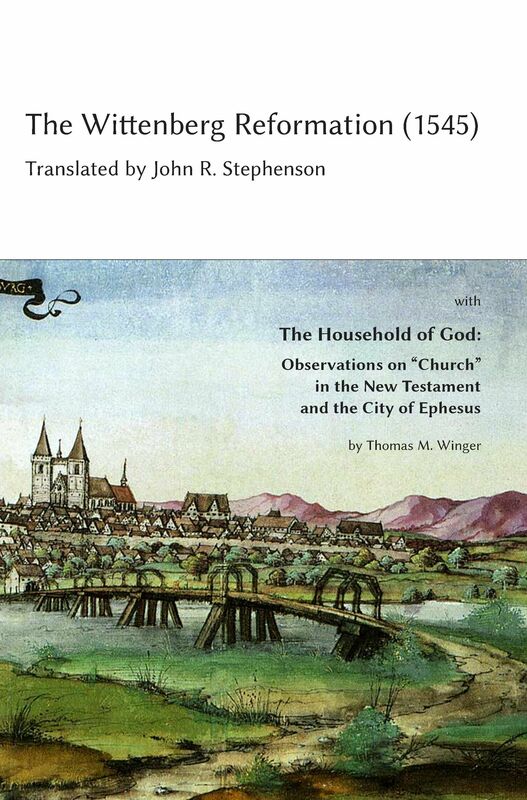 The translation is accompanied by “The Household of God: Observations on ‘Church’ in the New Testament and the City of Ephesus”, by Dr Thomas M. Winger. This exegetical essay was presented to the LCC East District Pastors’ Conference in April 2016. Both writings are offered as a modest contribution to the 500th anniversary festivities of the Lutheran Reformation. They are also timely as Lutheran Church–Canada enters into a re-structuring process to be completed in the Reformation anniversary year. While God has not ordained a particular church structure, the Holy Scriptures and our Lutheran heritage have much to teach us as we put theology into practice.